Judy A. Yoder, 76 of Lodi, Ohio passed away Saturday, Sept. 15, 2018 following a traffic accident near Seville. She was born November 20, 1941 in Cleveland to Joseph and Helen (Kimmel) Havel. Her family lived in Euclid before moving to New Jersey and later to Hollywood, California, where she graduated from Hollywood High School in 1959, having been schoolmates with Ricky Nelson. Following graduation, she moved back to New Jersey where she worked as a secretary for Liberty Mutual Insurance. Her family relocated to Chatham in 1967 and she began working at Friction Products in Medina. On December 24, 1972 she married Owen Yoder at Lodi United Methodist Church. She continued her secretarial work at Westfield Companies and later at Cloverleaf High School, as well as helping Owen operate the Western Auto store in Lodi. Judy was always willing to help anyone in need. Memorial Visitation will be held Tuesday (Today), Sept. 18, from 4:00 – 7:00 PM, at Parker Funeral Home, 210 Medina St., Lodi (330-948-1122). A Memorial Service will be held Wednesday, Sept. 19, at 11:00 AM at the funeral home. 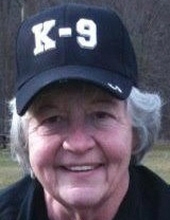 In lieu of flowers memorial contributions may be made to Pets for Vets, P.O. Box 10860, Wilmington, NC 28404, or go to petsforvets.com . "Email Address" would like to share the life celebration of Judy A. Yoder. Click on the "link" to go to share a favorite memory or leave a condolence message for the family.